Nearly a third of Americans suffer from chronic noncancer pain, a condition often treated with opioids. The effectiveness of this chronic opioid therapy is currently unclear and exposes individuals to potential risks, including opioid abuse after treatment. 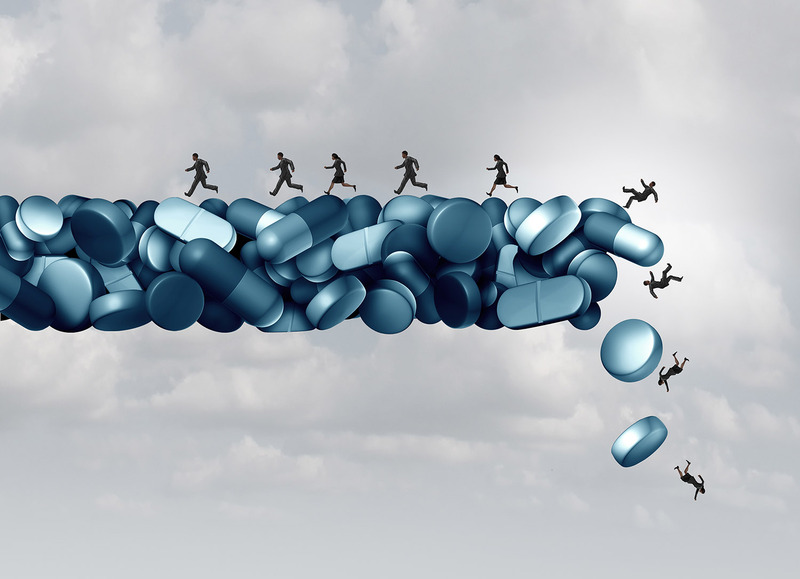 A new $9 million study, led by RTI International, aims to provide strategies for reducing opioid use among patients who are not benefitting from it while ensuring access to those who are. RTI is collaborating with the Mid-South Clinical Data Research Network, based at Vanderbilt University Medical Center and which includes UNC and the Duke University Health System. A principal investigator of the study is UNC’s Dr. Paul Chelminski ’95 (MD, ’03 MPH), a professor at UNC’s School of Medicine with extensive experience studying best practices of prescribing and managing long-term opioid use. “This clinical trial is intended to retrofit pain management and align it with the sensible recommendation that chronic pain therapy incorporate a strong behavioral medicine component,” said Chelminski, director of the Physician Assistant Program in UNC’s department of allied health sciences and a general internist in the Internal Medicine Clinic. More than 1,000 patients from North Carolina and Tennessee, states with high opioid use rates, will be enrolled in the study. Researchers will compare two interventions to evaluate their effect on opioid dosage, physical functioning and pain-related outcomes. According to a news release from UNC Health Care and the UNC School of Medicine, one intervention involves a shared decision-making process, where patients and clinicians make evidence-based decisions together that align with the patients’ preferences and values. This approach requires strong communication between the patient and provider about the risks and benefits of treatment options. The other intervention, according to the news release, uses motivational interviewing as a goal-oriented counseling technique to enhance an individual’s impetus for behavior change. This involves cognitive behavioral therapy in group sessions to foster more positive thoughts, emotions and behaviors to help manage pain. Both intervention groups also will receive care based on the Centers for Disease Control and Prevention’s new guidelines for treating opioid patients, including patient selection for opioid use, goal setting, active monitoring, and reducing misuse and abuse. The work is being funded by the Patient-Centered Outcomes Research Institute, (PCORI), an independent nonprofit authorized by Congress in 2010, according to the news release. PCORI’s mission is to fund research that will provide patients, their caregivers and clinicians with the evidence-based information needed to make better-informed health care decisions. The study is bewing funded through a PCORI funding announcement specifically focused on long-term opioid use for people with chronic pain. There is a shortage of high-quality evidence demonstrating the safety and effectiveness of long-term opioid therapy for the management of chronic pain, and to date no large-scale studies have assessed strategies for managing and reducing chronic opioid use in real-world clinical settings. In addition to Chelminski, the principal investigators from partner institutions are Li-Tzy Wu from Duke and Kristin Archer from Vanderbilt. They will collaborate with McCormack and RTI opioid expert, Dr. Mark Edlund. The team will receive input from an advisory panel that includes patients and advocates.